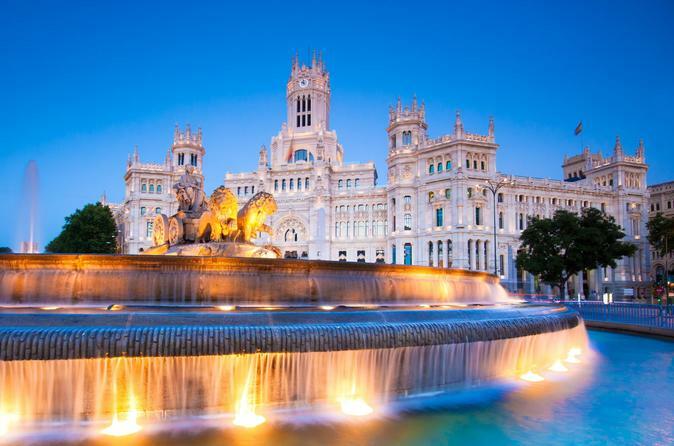 During your stay in Madrid, you can’t miss this amazing tour around its most repre- sentative attractions. You’ll start at the emblematic “Plaza Mayor” which origins date to the 16th century. In this square, also known as “Plaza del Arrabal” (suburbian square), is where the village market used to take place, building the first porched house to adjust the commerce at the square. After that you will take a walk around Puerta del Sol. From Puerta del Sol we’ll walk down the calle Alcalá, which is the longest street in Madrid, as well as one of the most representative works in Spain. We’ll enjoy a different perspective on this street and we’ll take a look at the Metropolis building, symbol of Madrid’s city. Our next stop is the Cibeles fountain and the post office, current town hall. We’ll walk through Alcalá street to arrive where the old entrance to the town was, named “Alcalá’s door”. From there we will head to Salamanca’s quarter, one of the most important commercial areas in the city, as well as being one of the places with the highest quality of life in Europe. Here, you’ll find the biggest luxury shopping places in Madrid. Our tour ends at Parque del Retiro, where the guide will show you the most beautiful elements of this park and where you could stay on your own once the tour ends.